Intensive English Language programs that are developed and managed carefully and consciously can play a significant and critical role in supporting the global enrollment pipeline of their college or university. American university English language programs for international students have existed since Columbia University started offering ESL (English as a second language) courses in 1911. The first IEP (intensive English program) opened in 1941 at the University of Michigan. As the number of international students seeking tertiary education in the USA has grown since then, so too has the number of IEPs. 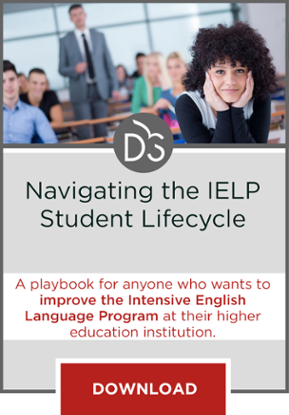 Today, for many institutions, the institution-governed IEP or a local proprietary program provides the English language education that students need to gain university admission or begin their academic studies. As the desire for international student enrollments increases, so too does the value of an ESL program to institutions across the country. Open Doors reports 126,016 ESL students in the USA in 2014. If each of those students has the average economic impact of other international students in the USA (approximately $31, 284 annually), then they account for a language industry of about $3.942 billion. That’s big business, and those students may go on for another two to four years or longer contributing to institutional budgets and the local economy (see NAFSA International Student Economic Impact Tool for more). Along with international faculty and any US domestic students and faculty who have lived, worked or studied abroad, international students bring a non-US-centric perspective to campuses. As businesses, economies, education, the sciences and nearly every other area of human endeavor internationalize, the need for campus internationalization has grown. Exposing students to international perspectives has become a requirement for a well-rounded education that prepares students to be competitive in the global marketplace. Governments around the world have recognized this need in addition to the necessity of providing for strong English language skills as English is typically the medium of communication in education, science, business and diplomacy. This is the very work of IEPs on campuses across the country. An IEP is an institution’s front door for many international students. Regardless of the length of time that students need to achieve academic English language proficiency (one term to a couple of years), an IEP can provide a welcoming landing point of caring and supportive faculty and administrators whose mission is to provide the language tools and cultural understanding that help students succeed after they matriculate. This kind of a program is essential to bring the diversity of international enrollments that institutions appear to value. The students in these programs come from classrooms with a variance in the level of English teaching quality. Some countries do better than others, while within other countries there can be significant variance in outcomes, perhaps most notably between urban and rural settings. While having students on campus from a variety of geographic locations provides one type of diversity, if those students all come from privileged urban backgrounds, they could exhibit greater homogeneity than diversity. An IEP can help build that diversity by providing the language skills that some otherwise highly qualified students may lack. So, what does it take to build and sustain an IEP that can provide a steady pipeline of students into an institution? First, I believe that it takes a commitment from higher administration to acknowledge the legitimacy of English language teaching as a profession and as an important partner in the academic endeavor. This includes providing the resources necessary to build and maintain a quality program that meets international standards of accreditation as defined by the field through its programmatic accrediting body, the Commission on English Language Program Accreditation. In return, the IEP will help students develop the English proficiency and cultural competency needed to support their integration into the campus and local community, strengthening the likelihood of persistence toward their degree. Secondly, institutions need to avoid the “cash cow” syndrome of draining their IEP of its resources. Most IEPs are self-funded, but many of them are regularly drained of their resources to fund other programs; reinvestment in an IEP is essential to maintain a quality program with qualified instructors. In return, the IEP can manage its resources to assist with student recruiting, and providing support programs that aid international students in engaging with their campus and local communities, leading to student commitment to remain through degree completion. Additionally, with their expertise in cross-cultural communication, IEPs can provide training for institutional faculty and staff in working with international students in a variety of campus settings. These are invaluable services especially if a campus is growing its international student enrollment. Third, institutions need to examine policies and/or practices that could be a disincentive to international students to enroll in the institution’s IEP. The main example is continuing to require an external test of English as a foreign language (commonly the TOEFL). Institutions that accept completion of the IEP as demonstrating the level of English proficiency required frequently are more successful at attracting and retaining students in the IEP and then seeing them matriculate because the IEP, with daily observation and assessment of each student, can determine when students meet the English proficiency requirement. High-stakes exams like the TOEFL, ACT or SAT can cause high anxiety, and some students will not test well. The IEP has multiple points of assessment, which is a hallmark of good assessment practice. Finally, each institution’s position vis a vis international students is unique. Some institutions will be more attractive due to reputation, cost or geographical location and they could benefit greatly from an IEP. Existing IEPs may need help breaking out of once-effective practices that no longer suit the student population they serve, while others need their institution to recognize the restrictions they are operating under which may be limiting their ability to be as successful as their host institution desires. Those who have been in international education for many years know that our field is cyclical, and that reality must be acknowledged. Student enrollments, especially in IEPs, will wax and wane through no fault of the IEP. Dollar exchange rates, which can boost student expenses and stretch family budgets, can boost or weaken enrollments. Government scholarships can disappear as quickly as they appear. In trying times, it can be easy to think about turning to quick fixes that promise high returns (number of students) for low or limited institutional cost. 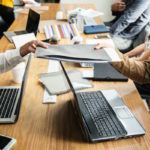 When control is maintained locally, and an IEP works well with its host or governing institution, it can be responsive to institutional needs in a way that quick-fix alternatives may not. 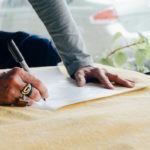 In the event that an institution considers outsourcing an IEP, caution is urged and campus IEP leaders should always be part of any conversation about language program adaptations or changes. Consultation with those who know the field best will serve any institution well. It’s always worth remembering that the cost of the right decision is immaterial, while the cost of the wrong decision is immeasurable.